If you are thinking to buy recessed lights, you should create a recessed lighting layout first, to ensure that you will buy the required number and size of recessed lights. When the design of the recessed light layout has been ordered in just the right way, it leads to many benefits, like a room can seem larger, is pleasing to the eye, certain aspects of the room may be emphasized and blends well with the ceiling. Since the purpose of the room where recessed lights are being placed is an important factor, according to the needed lumen so, you have to know how the recessed can spread light. 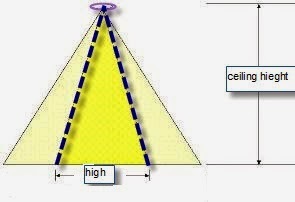 As you see light taking a cone shape, which has high intensity at the center and decreased gradually going out from the middle, and the ceiling height has a major role in the light circle diameter. How Many Recessed Lights Do You Need? Now you need to know How many recessed lights will you need? Determine the area per (ft²) of the room or space that you want to light. Determine the total wattage required for this area by Multiplying the area by 1.5, which is the average watt/ ft². In some areas the desired amount of lighting may rise to 3 watt/ ft² like kitchens. Divide the total wattage by the wattage of the bulb that you are using or plan to use, so you get the number of recessed lights in this area. For general lighting to simplify you can use one light/ ft², it will usually be sufficient to light the area. If the a ceiling height is more than 16 feet, you can use brighter lights since the area will need more amount of light. The destination of the general recessed lighting layout is to supply an equal distribution of illumination throughout the room, regardless any object in it, The cans should be equally spaced throughout the room, usually they are in rows with an equal number of cans in each row. You can see some samples of layouts that depending on the number of recessed lights to be installed in the below video. Task lights aim to light the important areas where you perform your tasks. Like lighting your kitchen counter space, under cabinet, also can be in bathrooms and reading rooms. 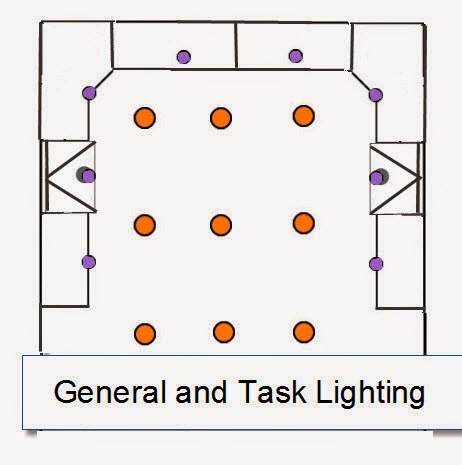 The below layout makes the difference between general and task lighting clear. After you get your layout you must calculate the recessed lighting spacing to ensure you can have effective light distribution. 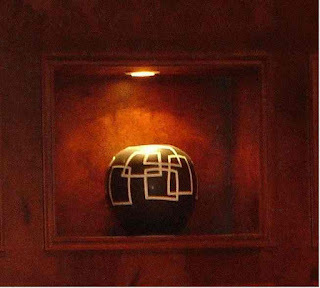 Accent lighting is employed to attract attention to a unique detail object, like highlighting a picture or artwork, here recessed lighting do the job. For example to highlight a picture on the wall, the distance from the light to the wall should be approximately 0.6 of the distance from the ceiling to the picture. A technique that aims to uniformly highlight the wall surface by using equally spaced directional reflector trims mounted at a suitable distance, usually 2. 5 to 3 feet from the wall to create wider light angles.